The first state penal institution, covering 47 acres, west of the Mississippi River back in March 1836 was the Missouri State Penitentiary. 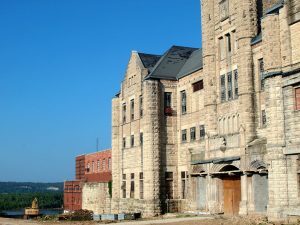 It remained a functional penitentiary to September 2004, located in Jefferson City. This prison also known as M.S.P. also had the nickname of ‘the Walls’. It also had the reputation of a very crude or brutal prison. 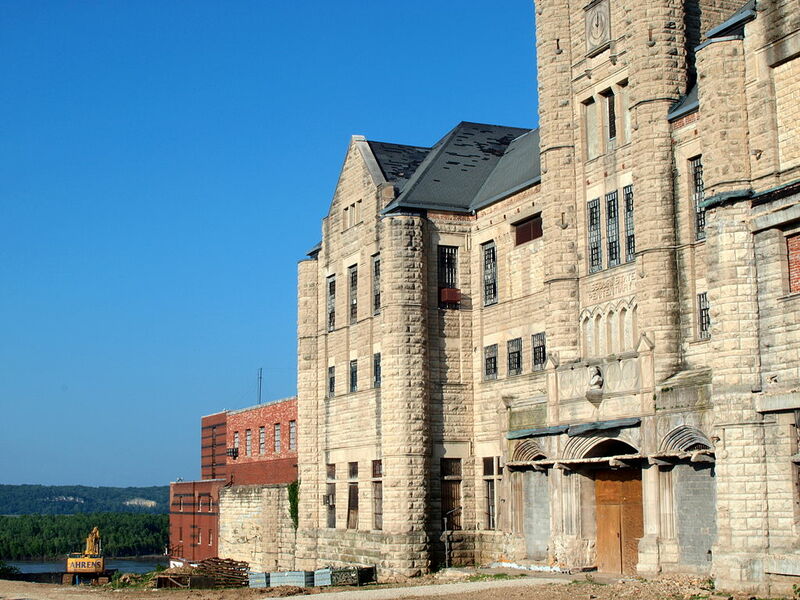 The opening of prison consisted of one guard, one warden, fifteen prisoners, and a foreman for the brick-making operation with an assistant. 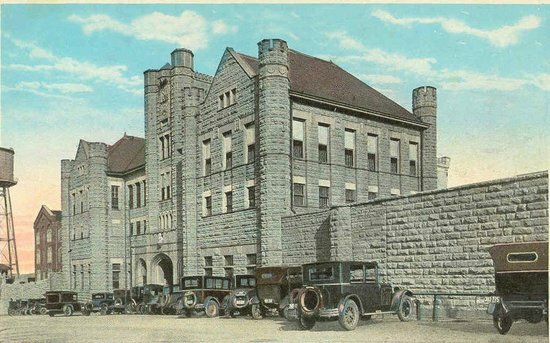 Eleven of the fifteen prisoners were from St. Louis, and all were incarcerated for larceny, except for one, who was imprisoned for stabbing a man during a drunken brawl. One of the most famous prisoner was James Earl Ray (who in assassinated Dr. Martin Luther King Jr. in 1968) was admitted to the penitentiary on March 17, 1960. On April 23, 1967, prisoner #00416J, James Earl Ray, escaped from the Missouri State Penitentiary in a bread box that was supposed to contain loaves of bread that were being transported from M.S.P. to the Renz prison. Somewhere during the trip, Ray escaped. 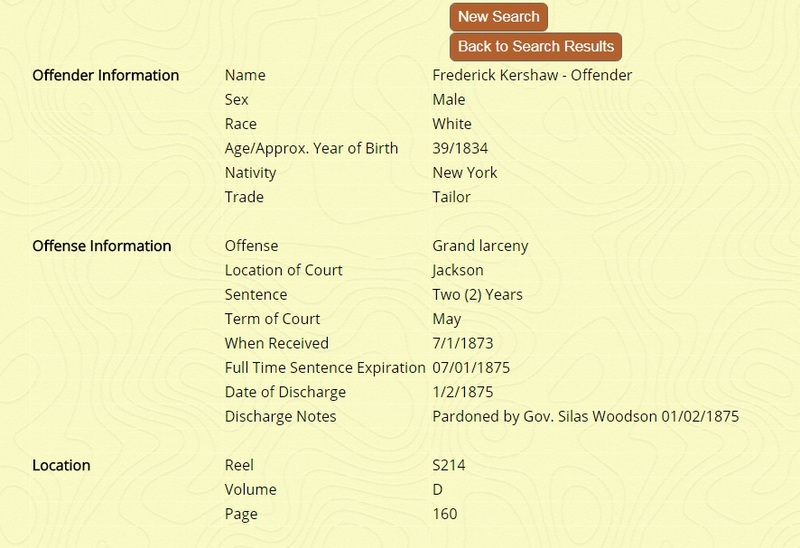 There is a database covering indexes the Register of Inmates Received 1836–1931 and the Register of Military Prisoners, 1864–1875. The register of inmates received includes information about the prisoners, their crimes and sentences, as well as when they entered and were released. Placing a surname to search is a good start rather than putting details of given names and dates. Check all listings, you don’t know what might be revealed for your family tree. 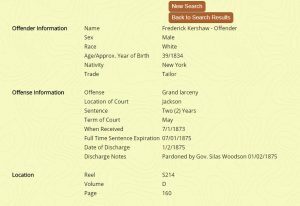 Photos: MSP in 1920s, present-day prison preserved; database of Frederick Kershaw in prison 1873-75. Any Ancestors Who Were Prisoners?